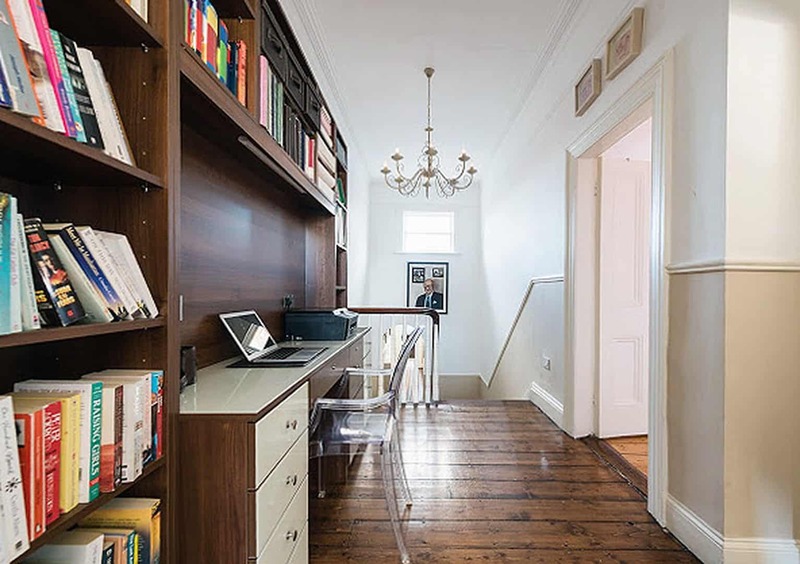 An upstairs landing study sounds like a perfect working arrangement for Michael Collins, the hard slogging revolutionary leader who had a penchant for rapid exits via landing skylights, attics and rooftops. Only James Joyce comes close to Michael Collins for the most Dublin addresses and most rapid exits. The author of Ulysses was famously shunted around as a boy by his serial rent reneging father Stanislaus and they stayed at more than 20 homes, leaving often in the dead of night to avoid detection. But while on the run, the Big Fella had the literary giant in the ha’penny place with sojourns spent in dozens, and possibly even hundreds ,of Dublin safe houses. In the latter part of the War of Independence, Collins seldom stayed at an address for more than a night at a time. By all accounts, the revolutionary commander, who was normally accompanied by one or two colleagues when overnighting, was always described as a gentleman guest by his hosts (except perhaps when the ultra competitive and garrulous element in him led him to challenge his new found house mates to try and wrestle him). But whether it happened by accident, or whether the Cork man had a grá for luxury, the lists of Mssr Collin’s safe houses shown online and in a recent book on the subject demonstrate that he had a rather upmarket lean in his choice of hideaways. Most Collins’ safe houses appear to be middle to upper class red-bricks or city centre townhouses. Seldom did our Big Fellow stay in a small house. 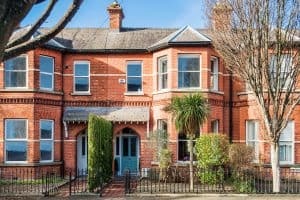 Take for example the property at 8 Haddon Road in Clontarf. Constructed in the Edwardian period, it would have been almost shiny new when Collins parked there on the run from the Cairo gang. That he used it as a safe house is verified in the records of Ned Broy, his Dublin Castle informant, and later the Garda Commissioner. Broy names the house as one of Collins’ hideouts in his statements to the Bureau of Military History which recorded events of this period. 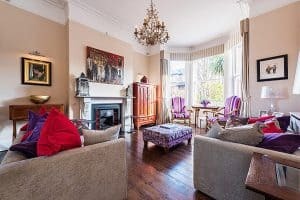 The owners renovated it from top to bottom in 2006 in conjunction with a restoration architect, and took great care of its period features. 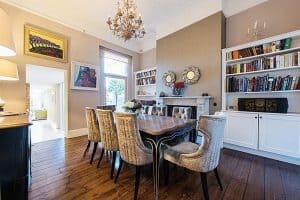 The original layout of the house was altered somewhat – a kitchen wall was knocked through to allow access into the dining room and an extension was added to the rear of the house to take the accommodation up to 2,260 sq ft. The look is an even and colourful mix of Edwardiana and contemporary. Take the kitchen where the original brick arched recess, which once held the home’s ubiquitous solid fuel range, has been retained and now accommodates a large, steel Britannia range. Authentic Edwardian features include the characteristic high ceilings, original ornate plasterwork, original chimney pieces in marble for the two main reception rooms (with tile insets), the stout timber board floors, the two-floor bay window column and the ornate and colourful stained glass panels in the front door and surround. 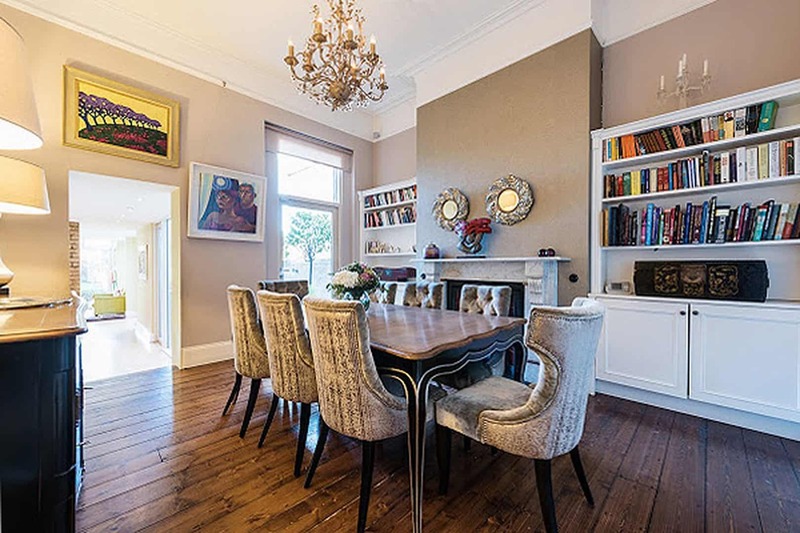 The accommodation comprises an entrance porch, entrance hallway with guest toilet, the standard interconnecting drawing/dining room typical in these homes and useful for family events and entertaining. There’s the kitchen which comes with an island unit, an American style fridge freezer, and a laundry cupboard and the modern family room extension which leads to the west facing rear garden. This in turn has double gates at the back for car access. And while the architect was renovating the property, he transformed dead space in the landing into a very elegant study with a svelte desk and shelving, which also happens to have both a skylight to the roof and a Stira to the attic overhead – offering dual evasive routes for any hardworking revolutionary overnighter. The house comes with gas fired central heating which is underfloor in many locations. Outside there’s a west facing rear garden with decked patio area, raised lawn and flowerbeds with variety of shrubs and trees, bespoke timber shed with mains electricity, attic level with ample storage, and double gates providing rear vehicular access. 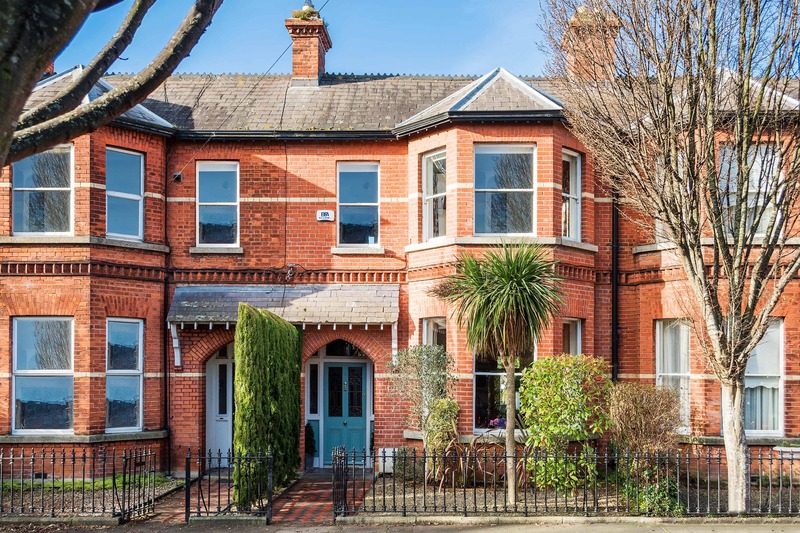 Leafy Haddon Road is one of the most sought after prime locations within Clontarf. It is located near to the well known Clontarf Promenade which offers bracing night strolls with a view of the big vessels making their way into Dublin Port. There’s St Anne’s Park nearby in Raheny with its famous rose garden, and the local sailing club for those who fancy tipping out onto the waves. For a pint afterwards they can adjourn to The Yacht. And if you’re city centre based for work, a quick morning getaway to your desk is possible thanks to the proximity of the Dart station from which you should be able to get there in a few minutes.